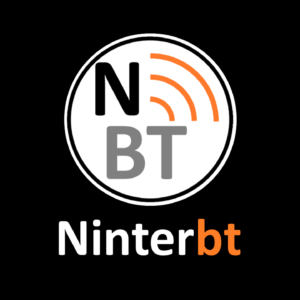 Ninterserial is a program totally toward developers and for aprentices of electronics and programming. 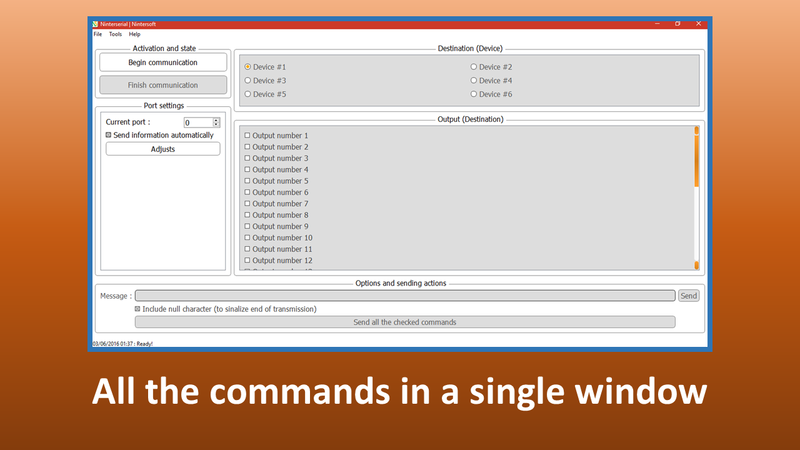 The main objective of Ninterserial is to perform serial communication with other devices using COM ports through the use of UART. 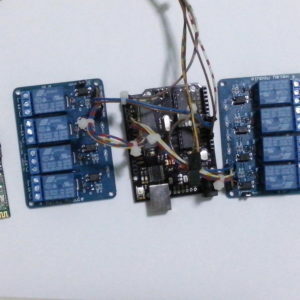 This program uses basic concepts of serial communication, allowing you to connect from COM0 till COM255 ports, besides to configure the baud rate, stopbit, bit size and parity mode. 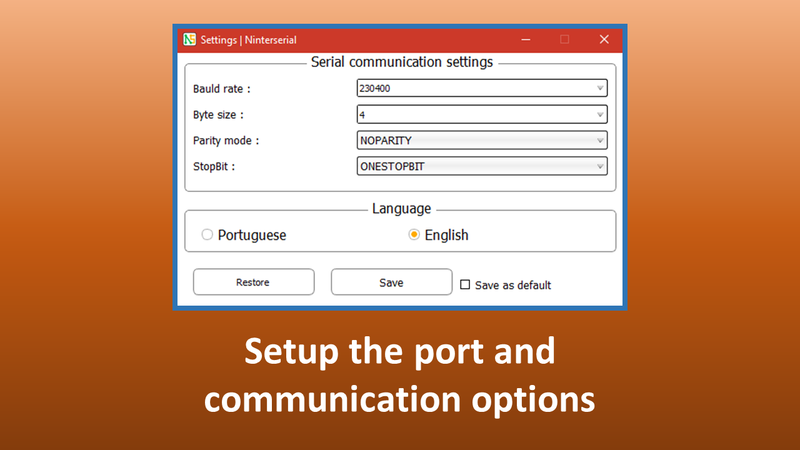 Ninterserial is available in two different languages, the main (Brazilian portuguese) and the optional (British english), and you can switch between them in the application settings. Send standardized “words” using the switches. 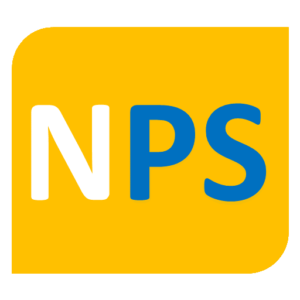 Send customized “words”, including a null character (or not). 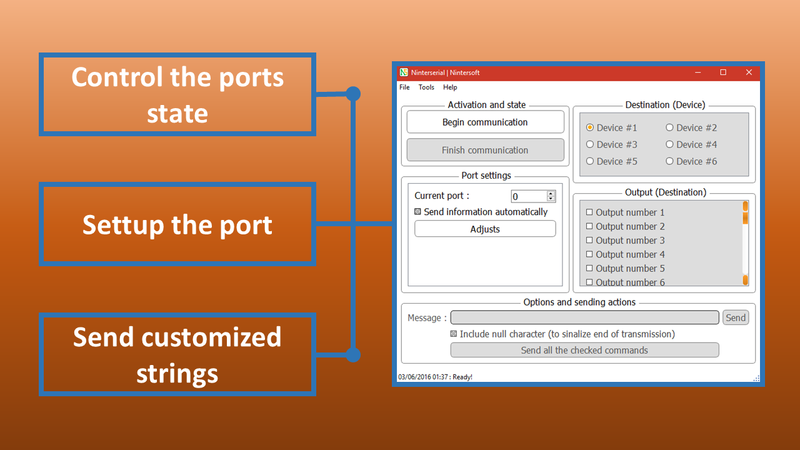 Configure the options of communication ports. 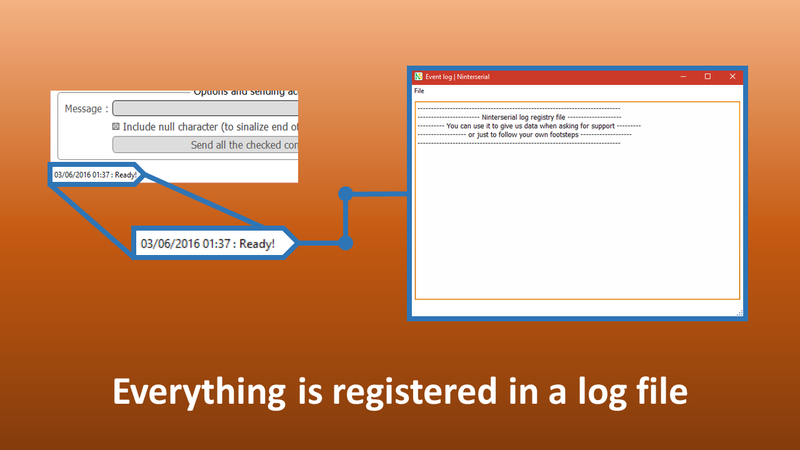 All your footsteps are recorded by the application in a log file. 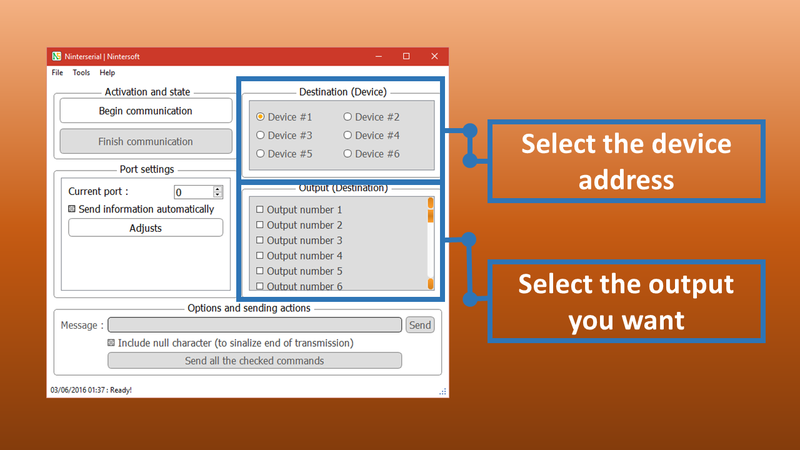 Your customized settings can be maintained for the next initialization. Try it now and amaze yourself with the resources that this small tool brings you. If you still have some doubts about the program, check the application support centre. 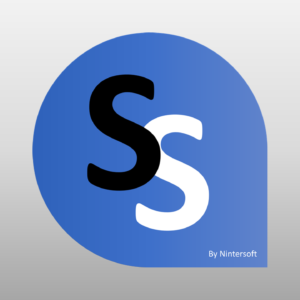 Do not forget that Ninterserial is a Nintersoft project, completely open source code.